Story telling master piece. They often say that a great story doesn’t have to be convoluted, complicated. It’s how you tell the story that really matters. 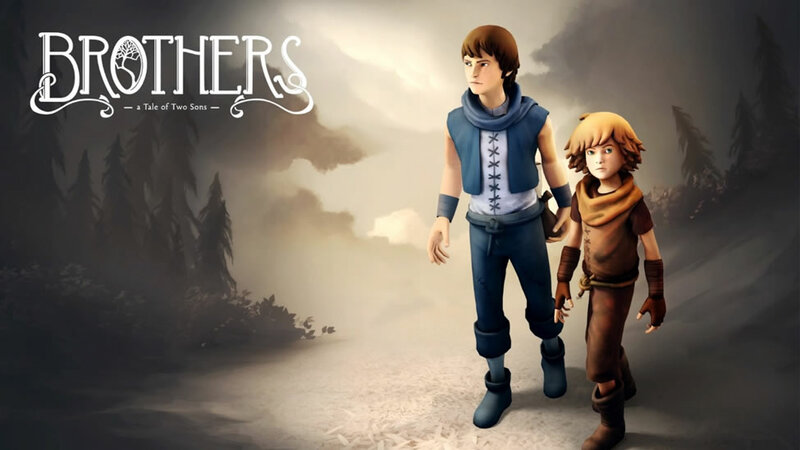 Brothers: A Tale of Two Sons follows the simple story of two brothers whose father has fallen ill and in order to get medical aid to their father, must journey to a faraway distant land tree type thingy that contains the only hope to save their father. Without much thought, they accept this quest and begin their search for this great tree. To make matters worse, their mother is no longer around to help them as she drowned in a helpless accident (No spoiler as this is revealed to you at the start of the game). This is how the game starts off. Pretty dire circumstances and not the best of situations to be in. With that, the two brothers start out on their journey. 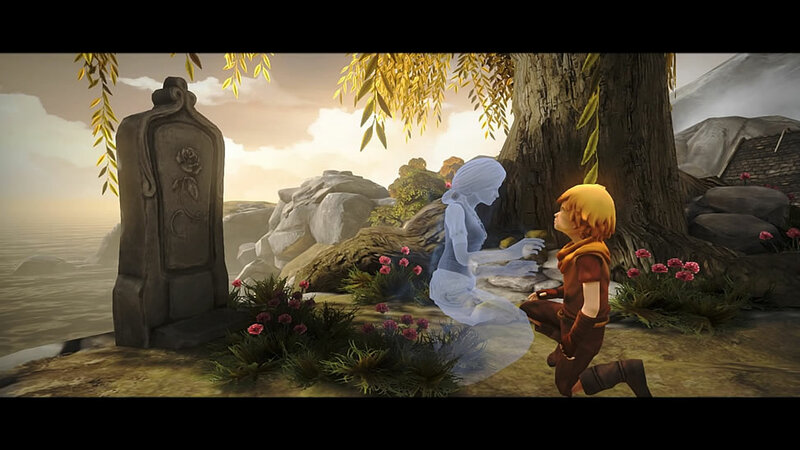 Some of the things to note about this tale is the absence of voice acting. Most of the scenes in game are played out by actors speaking in gibberish much like the Lego games or The Sims for that matter. This is quite a pleasant surprise because while the lack of voice acting is present, the player then starts to notice other little details of the game. Whether it’s the behavior of the brothers, their little actions and interactions with the world ahead of them, you start to observe the world that you are placed in and that’s how the story starts to piece itself together as you journey along. On a side note, I loved the play of shadows in this game. Whether it was a light leak, a third character showing us the way. Being a videographer myself, I enjoyed the play of light and shadow to show the player where and how to proceed with the game. The brothers themselves are very much different. Yes, they are controlled separately. As the player, you control both of them using the 2 thumb sticks of your PS4 dualshock 4 controller. With that, you guide each brother along the playing field. This felt quite awkward in the beginning as your brain slowly adjusts and gets used to the need of multitasking. Initially, I had to move them 1 by 1 but as time gradually went along, I managed to (eventually) sort myself out. After my first hour, I found it helpful to place the younger brother on the right as the right analog stick controls him while the left controls the older brother. Well, maybe after you’ve master the art, you could try swapping them around to add some spice and difficulty to the game. It takes some getting used to but trust me, you’d have them under control in due time. 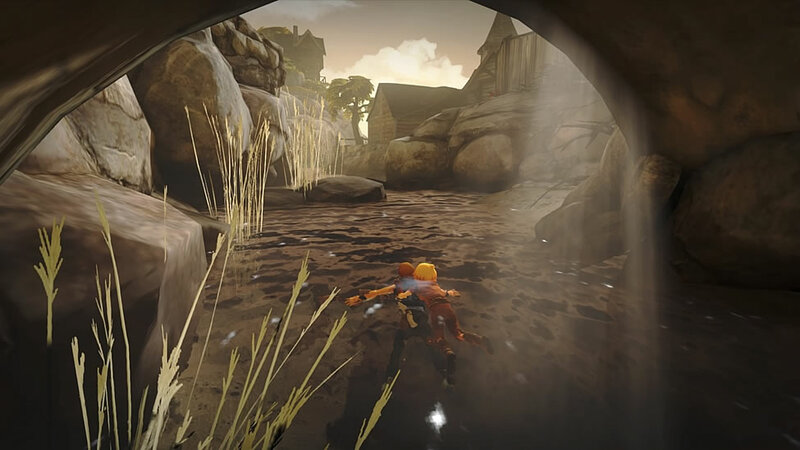 To interact with the environment and people, you’d use only the L2 and R2 buttons respectively for each brother. One thing I noted as we went on our adventure was the puzzle solving elements. They weren’t overly complicated as you worked your way through them. 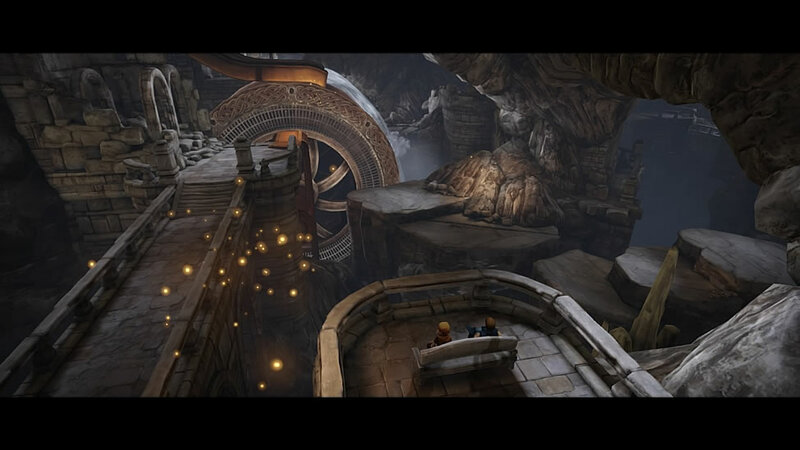 In fact, the player would soon discover that puzzles are solved by working together if one brother doesn’t solve it, the other one usually would do the trick. The journey that you take forward with the brothers is an endearing one as you do things together. The younger brother starts to reveal himself to be the more playful one, brings the fun to the table while the older brother shows his side as the more responsible, caring one who looks out for the younger brother. It is apparent when the younger brother clings onto the older brother for dear life as he cannot swim. There were moments that I accidentally forgot this in the process and felt irresponsible for not looking out for the younger brother. This helped me, the player to develop genuine concern for the character I was controlling. The game isn’t too long and you should finish its 7 chapters rather rapidly in what took me about 4 hours to finish. The visuals in this game mostly operates from the isometric perspective where you take a top down approach. The soundtrack fits the game’s mood and the story telling nicely to bring out the emotion of the characters and accurately portray the situations of our two brothers. 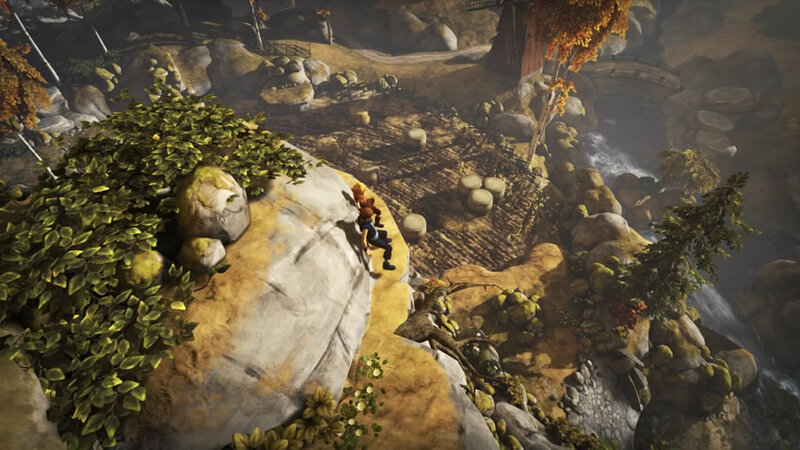 If you’re looking for a journey, an adventure to go along, Brothers: A Tale of Two Sons might just be the game you are looking for. Brothers retails at $26.60 on the PSN store for the PlayStation 4. Puzzles were easy, visuals were kind on the eye and suits the look and feel of the game. Game might feel a little short to some and there’s also not much of a reason to go back and replay the game. Apart from all that, it was still very much a pleasant journey, a story of loss, despair, hope, joy and companionship is still very much worth experiencing at least once.